Hey Fab Fempreneur! We’re all about inspiring and equipping female entrepreneurs to have a business (and life!) they love. I’m Sara Clark-Williams, founder of Fab Fempreneurs. I was inspired to help female entrepreneurs due to my own experience starting my business, Launch Your Life, back in 2008 when I left my corporate job. 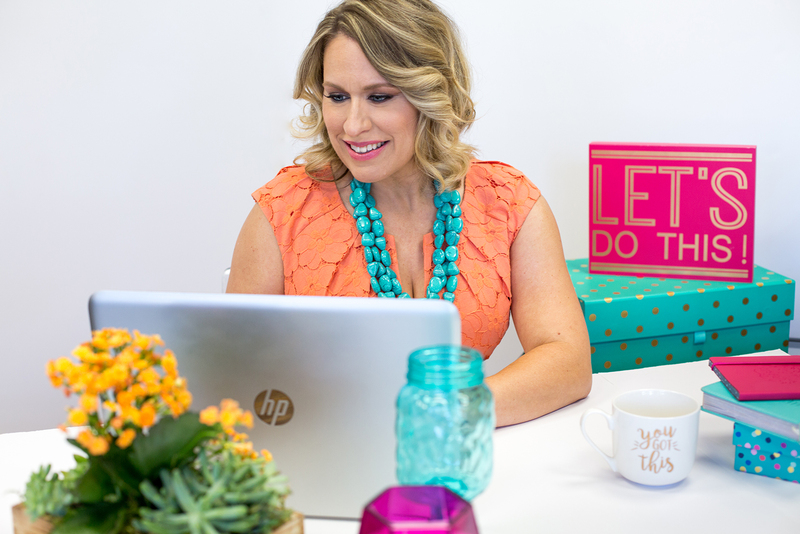 I had a big passion for helping other women truly feel alive and fulfilled in life and wanted to share with them how I was able to do that, and that they could too—and how. I started coaching clients and helping them launch their lives too! Over a couple of years, I recognized that the majority of my clients were female entrepreneurs, and as a result, I began creating tools and content that addressed their unique needs, challenges, and desires. They wanted what I did- to create a business they loved, that allowed them to help others, feel successful and accomplished, feel fulfilled, and have the freedom to choose how they spent their time- AND make good money doing it. Yeah baby!! These consistent observations are exactly what led to the development of the Fab 4 Sweet Spot Formula (below). 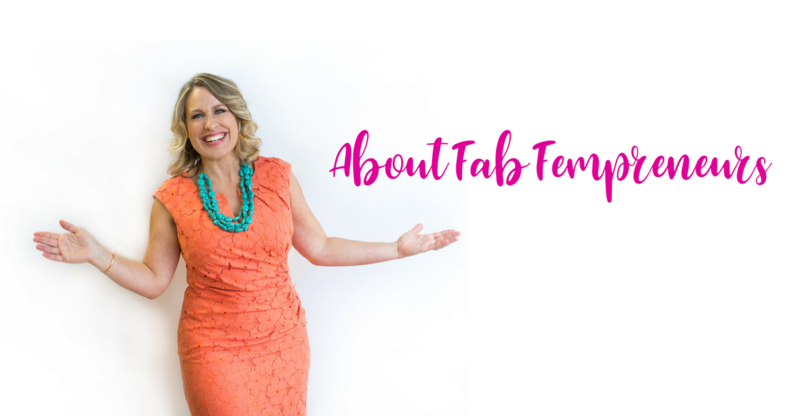 It’s my passion and purpose through Fab Fempreneurs to support you to experience filling BOTH your dreams AND your pockets, while making the biggest, positive IMPACT on the world. FULFILLMENT: You LOVE the work you do and feel the highest level of fulfillment possible from doing it. You believe in the IMPACT you’re making. FINANCIAL SUCCESS: You have solid financial goals and are getting the money you need and want from serving the world through your business. You are clear on YOUR OWN definition of success and know that finances are important, and just one part. FOCUS: You have a CLEAR direction and know WHAT to focus on to move you forward. No more feeling scattered and uncertain…that’s exhausting. FREEDOM: Do MORE of the work you LOVE, work with WHOM you want, do WHAT you want- WHEN you want, and have MORE CHOICES. Hey, who doesn’t want to work from anywhere, and NOT ask permission to take a day off? Um, we love that. FUN: If you’re not having fun as an entreprenur, doing what you love, then what’s the point? Yes there are hard days, and HARD WORK to launch, grow, and sustain a healthy, successful, and thriving business. We believe that ultimately, it should also be fun. When you experience YOUR ideal levels of the 5 F’s above, you’re most likely in the SWEET SPOT of your business. How do you create more of the 5 F’s ON PURPOSE? We believe that there are 4 areas to develop and nurture in your business whether you’re a newer or established fempreneur. 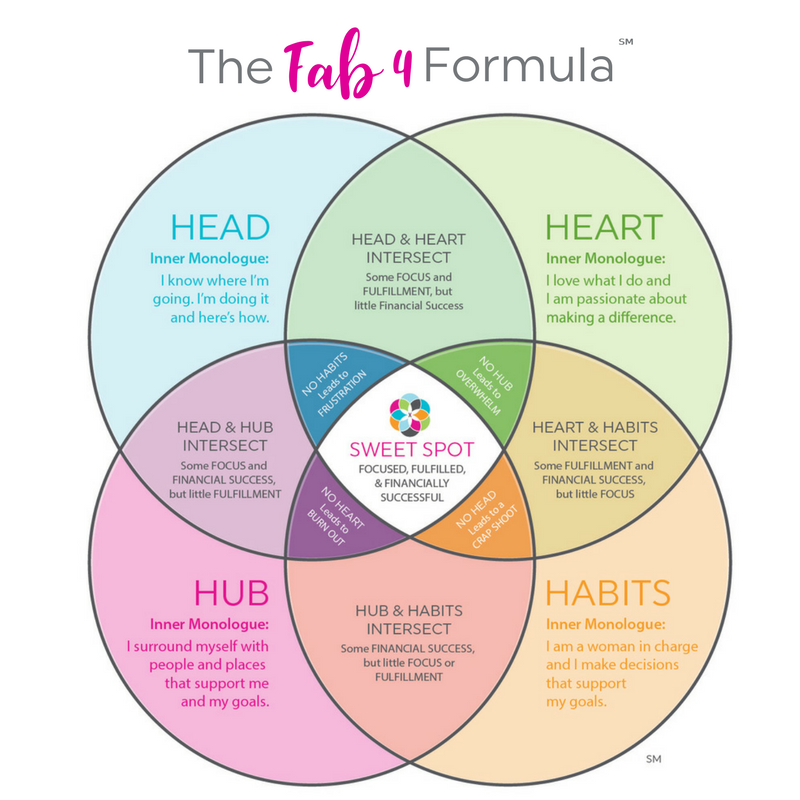 The foundation of being a Fab Fempreneur is through the Fab 4 Formula. Many women get so close to being a fab fempreneur and end up missing out because they don’t know what is missing. Through our Online Sweet Spot Membership Club, UPGRADE Mastermind, Annual Signature Business Building Program, and Coaching Services, we support you with the guidance, accountability, support, and tools to be in the sweet spot of your business. Whether you’re looking to get UNSTUCK and get momentum going, build a stronger foundation to SCALE your business, or UPGRADE to your next level for more money and impact, START HERE.